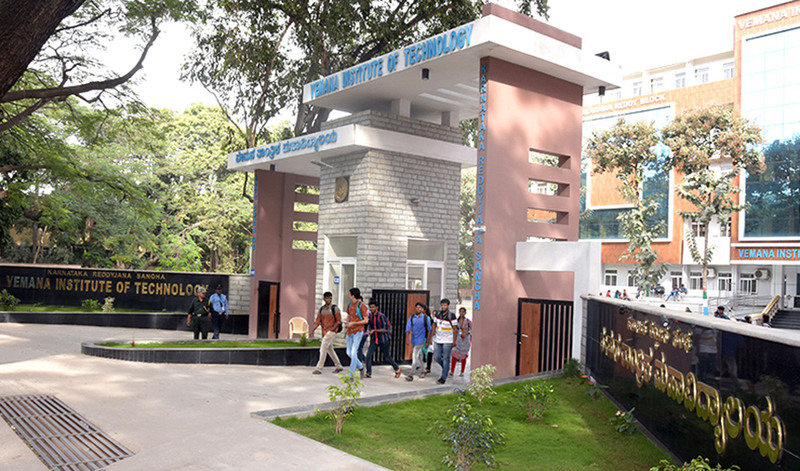 The Vemana IT, a premier institute was established under aegis of KRJS during the year 1999 in the heart of the Bengaluru city having vast land area of about 5 acres. Vemana IT has started with 3 Under Graduate (UG) courses of 180 intake and progressively grown up to 5 UG courses with 600 intake, 3 Post Graduate courses and 5 VTU approved Research centers. The institute is named after “Dharshanika Mahayogi Vemana” a saint of tall order and a social reformer who reached to the common people with his simple and straight forward Vemana Padyas’ they serve as the medicine for worldly ailments. He is our guiding spirit. Vemana IT is recognized by Govt. of Karnataka, approved by All India Council for Technical Education (AICTE), New Delhi and affiliated to VTU, Belagavi, Karnataka.